The Saviours got together in Belgium on the 25th of May 2012. Mark Dermul and his lovely wife Sofie gladly received the international group in their home and served them a nice barbecue. The date was chosen with purpose, of course. 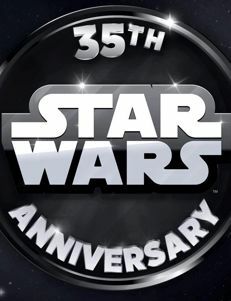 After all, today was the 35th Anniversary of A New Hope. Terry Cooper, Mark Cox, Robert Cunningham and Imanuel Dijk watched the movie together, before turning in for what would prove to be a restless night. Michel Verpoorten would join us the next day at the airport.